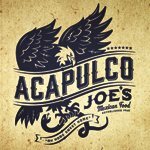 Acapulco Joe's is Indianapolis' first Mexican restaurant, with over 50 years of serving flavorful traditional Mexican favorites.Since opening more than 50 years ago, we striven to bring the best of Mexican cuisine to all those who have been willing to try it. That's why we're Indianapolis' first Mexican Restaurant, we wanted to expose the north to the cuisine of the South. Taco Tuesday was awesome! The free chips and salsa were a great pairing with the chilli con queso. The cheese stretched to the ceiling!!! The tacos were delicious and drinks mixed perfectly. Thank you Sandy for the excellent service we received throughout the meal. We will be back!! !